The sad thing is, he doesn't look anything like Kenny Rogers anymore. I couldn't stop staring at him, trying to figure out where his face went. I agree, he just doesn't look like Kenny Rogers to me so much now. But, he does look happy and doesn't look fake, so good on you, Kenny. I was so shocked to see Kenny tonight on AI that it got me googling him and plastic surgery and I eventually ended up here. Maybe a good job as far as surgery goes but it seemed more like some look a like celebrity standing in or something. He looked off, not like Kenny. What's the point of surgery if you loose your identity? Hope he doesn't regret it. I haven't seen Kenny in quite a while, and I would agree with the posts that if he looks too different, it is not good plastic surgery. If he looks more like an older version of Kenny, however, that is good work. How can the authoris this article say he had a "good job" performed? Its looks awful to me! I feel embarrassed for Kenny - he could join Michael Jackson's freak show. Awful - just AWFUL. He never looked like that as a young man either, so what did this face lift do (besides make him look freakish). Yuck. There was nothing wrong with him before, and it isn't as if he was a supermodel or anything so why the lift? 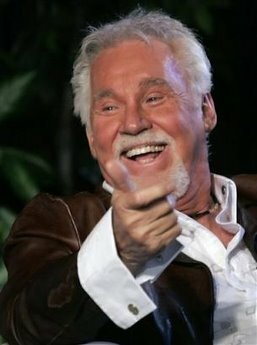 Kenny Rogers was in my book a handsome man and still would be as he enters into an older age brackett, but he has made a big mistake in getting this surgery on his eyes, because they are way too tight and look too small for his face. I'm all for plastic surgery and may have it done myself someday but this is scary. It looks like a Kenny Rogers impersonator! Why do these people think that surgery is an answer? !